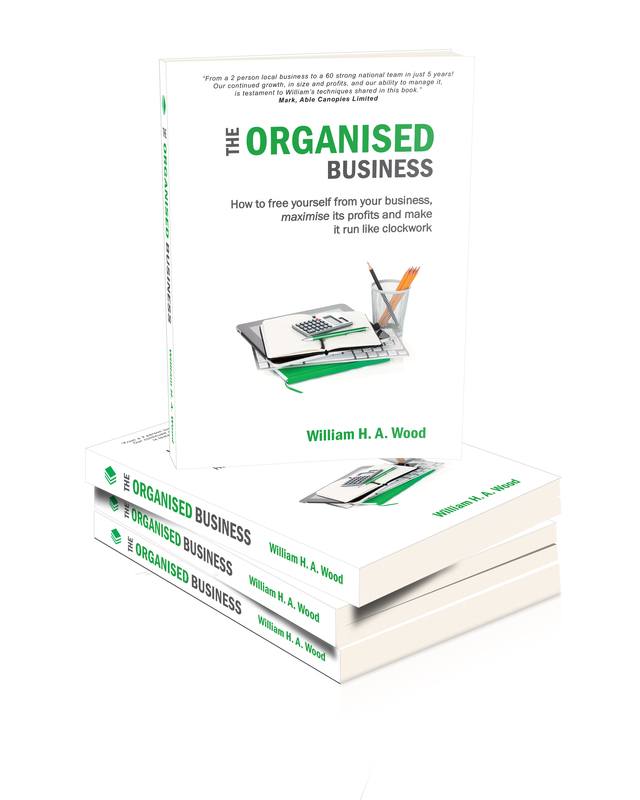 The book uses the story of two brothers, Stephen and John, to illustrate the different effect an Organised Business has on the owner of the business over a dis-organised one. These two sibling entrepreneurs both run the same type of business, selling the same product but in different locations. The main difference between the two businesses is that Stephen’s business is organised and John’s isn’t. John suffers because his business is dis-organised, in fact, it makes him unhappy. Things never seem to go right, the products are delivered late, customers are unhappy, he can’t seem to get his employees to do what needs to be done. John also takes his work home with him, it never seems to stop and despite working all the hours god sends, the business isn’t profitable. Stephen, on the other hand, is happy that his business is making the contribution to his life that he wants and that things are going in the right direction. Internally things work, products go out on time, customers are happy. Of course, things still go wrong but when they do there are systems and procedures in place to ensure they are corrected. Stephen, his team and his business operate with systems at their heart and are always looking to find the best way of doing things. Stephen’s business is profitable, he has a handle on the finances and, best of all, the business doesn’t rule his life. In the book we use Stephen and John’s businesses, along with other detailed examples, to illustrate the concepts, tools and techniques you will need to ensure you can get your business organised as well. In addition, as a reader of the book, you will have FREE access to our members-only website where you will be able to download a number of tools and resources we have developed, for doing things such as Organising your marketing, tracking quotes and getting decent management accounts. It's vital that you and your team know where your business is going if you are going to achieve everything you want for it. A business with no vision is like a ship without a course. However developing a vision can be tricky, in the book we share a technique for writing this that will help get you started. To keep your business on course you must plan out where you want it to be and regularly check your progress against this plan. You must strike the balance between doing and planning but both are vital. Systems, the internal checklists, processes and employee roles and responsibilities are the key to making your business scalable and to freeing your self from it. Systems empower employees, define the correct way of doing things and give you the most precious thing of all ... more time. Developing systems can be time consuming and daunting but we share with you some approaches that will make this an easier. With the examples and techniques outlined in the book you will not only get an understanding of the need for systems but also a fool proof method for developing them for your business. The biggest motivation for nearly all businesses is the desire for profit. It's what spurs us on to sacrifice our time and effort and your accounts are the only way you can really tell if you have made a profit and are doing well. So why is it that so many small business owners don't understand their finances?, one of the reasons is that the finances are often presented in what, can sometimes seem to be, a different language. In the book we examine the key financial components of any business and explain, in layman terms, the minimum information you need to know and understand in order to get a handle on this vital information. Many businesses grow organically and as they grow they develop their own ways of doing things, often there is no plan for this. Rarely is any time spent designing the best way of doing things and this applies equally to the filing structure the business uses for both electronic and paper files. This small but vital area can often be a complete mess, with paper work difficult to find, and if this is not resolved it will prevent a business from scaling and growing. In the book we examine a simple but highly effective solution for organising this area that works for both large and small businesses alike. In addition we examine how you can utilise the cloud to supercharge your filing structure sharing with you the pro's and con's of some of the latest cloud based solutions. The truth is that your business is a reflection of you. If you are not organised your business won't be. If you can't seem to get things together and struggle to do what you say you will do then your business will follow suit. We share with you some personal organising techniques and advice that should help you make the change so that you can be more like Stephen (the organised one) and less like John.